Welcome to the Kansas State University Food Science Institute! 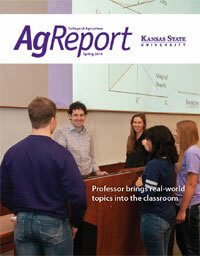 The Food Science Institute (FSI) was established in 2001 to integrate the expertise in food science across K-State. FSI facilitates the undergraduate, graduate, and online education programs and provides both research and technical assistance for the food industries. Approximately, 47 nationally and internationally recognized faculty from five colleges and 11 departments serve as teachers, mentors, researchers, and extension specialists in the following areas: food chemistry, food microbiology, food safety, veterinary medicine, cereal science, dairy science, meat science, food service, sensory analysis, food engineering, human nutrition, and product development. We look forward to assisting you in the area of food science. Interim Dean Ernie Minton is pleased to announce that Dr. Jeanette Thurston was offered and has accepted the position of Director for the Food Science Institute effective June 17, 2019. There were three outstanding candidates for the position and it was a difficult decision. Thank you to Dr. Randy Phebus for his willingness to be considered for the position and also for his leadership of the Institute during the interim period and continuing until Dr. Thurston's arrival. Please join us in welcoming Jeanette to this position! Kansas State University seeks nominations and applications for the position of Head, Department of Animal Sciences and Industry. This is a 12-month position with competitive salary commensurate with qualifications and experience. The successful candidate must have credentials for appointment as a tenured, full professor. Position available June 1, 2019, or later as negotiated. Review of applications begins February 15, 2019, and continues until position is filled. 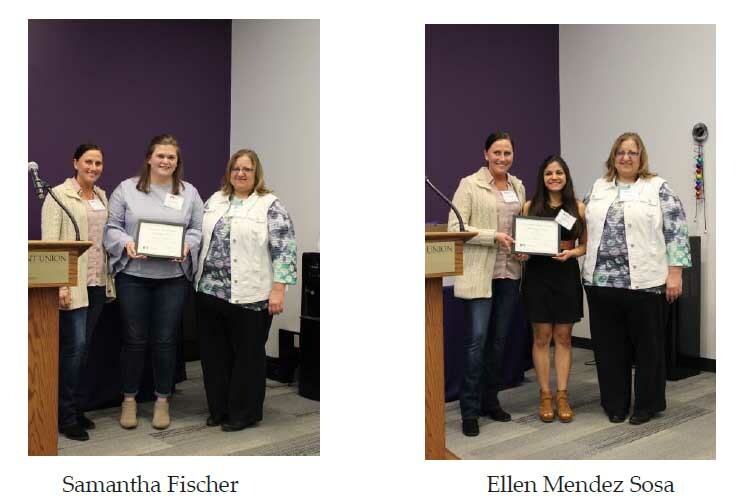 Three students from Food Science were awarded a scholarship from KC-IFT on Friday, April 12, 2019. The Nathan and Becky Smit Food Innovation Scholarship, a $1,000 renewable award for Kansas State University online undergraduate food science students, will be offered for the first time in fall 2019. Made possible by the generosity of Nathan and Becky Smit, the scholarship aims to provide financial support for distance students studying food science. Nathan Smit is a 2008 graduate of Kansas State University's distance program in food science. He earned his bachelor's degree and used it to quickly climb the corporate ladder at Hormel Foods Corporation. Spring semester for 2019 is coming to a close and Commencement Ceremonies are waiting for graduates to finish their time at Kansas State University. Please join us in congratulating all graduates! 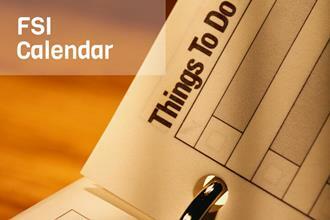 See the Commencement Ceremony Schedule for dates, times, and locations. Global food security means that people everywhere have access to enough safe, nutritious food to eat every day. But it's not a reality. And with 9 billion of us projected to live on the planet by 2050, feeding the world tomorrow won't be possible unless we all start working together today. That's why Land O'Lakes, Inc. is introducing Cultivate Community With the Global Food Challenge. It's a new food security-focused competition open to college students in the United States who want to help devise solutions to the problem of food insecurity. 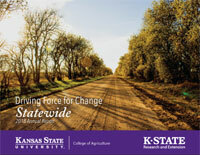 The Spring 2019 issue of the Kansas State Agriculturist is now available! This issue features a story entitled "Dairy on the Go" which highlights Food Science students and their entry in to the National Dairy Council product development competition. See page 40-41. Also, check out the store "Opening the Cupboard" which highlights the on-campus food pantry on pages 20-21. Great job Food Science students! Looking for some new purple clothing? 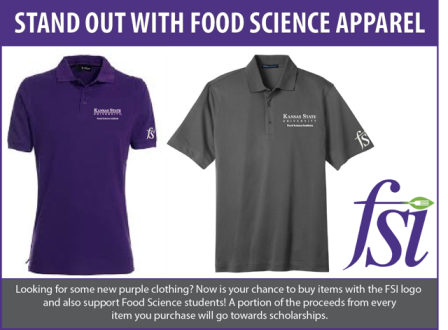 Now is your chance to buy items with the FSI logo and also support FSI students! A portion of the proceeds from every item you purchase will go towards scholarships.